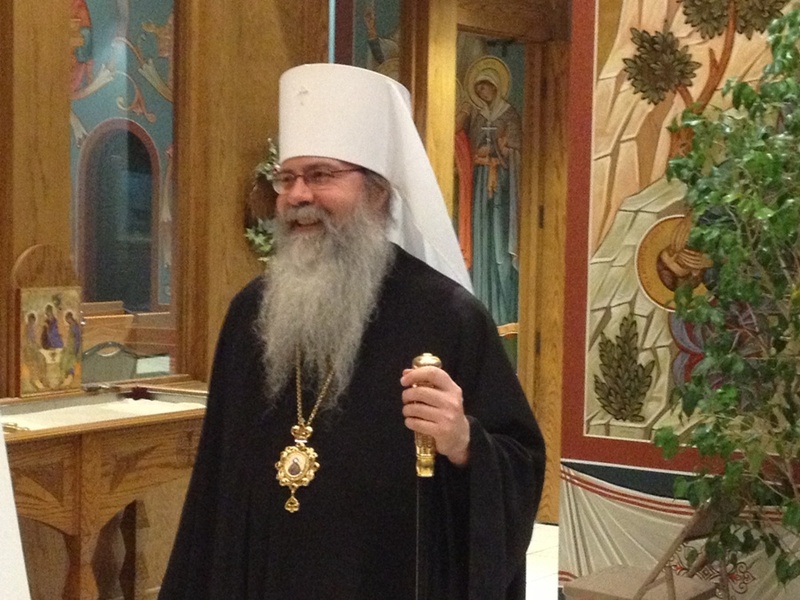 On Monday, June 13, 2016, His Beatitude, Metropolitan Tikhon issued anArchpastoral Letter to the hierarchs, clergy, monastics and faithful of the Orthodox Church in America and a Public Statement in the wake of the tragic shootings that occurred in Orlando, FL on Sunday, June 12. The complete texts of the Archpastoral Letter and Statement are available in PDF format and appear below. The hope of the Church is that all people should be saved and come to know the love of God. It is therefore heartbreaking to see the triumph of evil and destruction on this earth. We have witnessed yet another manifestation of the brokenness and division wrought by the evil one in the tragic shooting in Orlando, the worst mass murder in United States history. While we should weep for the 50 victims and pray for the healing of the many wounded, our hearts and minds should not dwell on the motivations of the shooting (which remain under investigation) nor despair at the darkness of a humanity that would perpetrate such crimes (which will never disappear). Rather we should focus on the hope that we have in the love of God, which overcomes the world, and ask ourselves whether or not we have done enough to overcome the brokenness in the world through our own Christian life. Have our hearts yearned for union with God as our Lord so fervently prayed in Sunday’s Gospel reading? (John 17:1-13) Have we quenched the fires of jealousy and anger in our families by preserving hope and sharing the peace of God which passes all understanding? Have we pierced through the walls of fear and condemnation in our world by pursuing love for our neighbor and love for our enemies? All of us must take responsibility, not only for this most recent act of violence and destruction, but for all such acts in the world. But at the same time, we must remember that Christ Himself has destroyed corruption and the impulsive force of death by his life-bringing death (Saturday Matins, Tone 2). And so we can reflect, along with one Athonite Elder, on this hope: “Even if today some people terrorize the world with deadly attacks and ostentatious displays of butchery, the God-man remains without change the Almighty Lord of love and understanding. He is the ultimate solution to all our problems, however much our superficial view fails to recognize it” (Archimandrite Vasileios,Apropos of the Great and Holy Council of the Orthodox Church, page 28). May we all take hope in the triumph of life over death offered to us in the resurrection of Christ, and as we mourn and pray for those whose lives were tragically cut short, let us commend each other and our whole life unto the Christ Who has overcome fear, has trampled down death, and has granted us eternal life and great mercy. The Orlando tragedy grieves us all. We grieve for those who were killed in this act of hate and terror. We ask for God’s healing power for the wounded. We pray for the families and communities of those killed and wounded, for the people of Orlando, for the people of our nation. The federal, state, and local agencies and officials are acting to respond to the aftermath of the mass killing. We pray for them as they apply competence and collaboration to this human trauma and tragedy. We join the many religious leaders—Christian, Jewish, and Muslim—who are raising their voices to express horror at the violence and the hatred behind the violence. Together with many people of faith we repudiate the use of religion to justify and promote hatred and violence. While the use/misuse of Islam confronts us with a global challenge, no religion is exempt from such manipulation. We join with all those religious leaders who promote and advance respect for human life. We see in each human being the image and likeness of God. We decry hatred and violence as ultimate assaults on God’s intention and love for each man and woman. At this time of national trauma and grief, doubt and questioning, we call on the better angels of our human nature to guide us toward sanity and sobriety, and the common ground of mutual support and love. This entry was posted in Featured News, News and tagged Canada, His Beatitude, Metropolitan Tikhon, Orthodox Church, Saturday Matins by Orthodoxy Cognate PAGE. Bookmark the permalink.